Charming Ranch style home with 3 bedrooms and 2 bathrooms. East to maintain home, small yard but could have a vegetable or flower garden. Light, bright and Open floor plan with unfinished basement - ready for new buyers to update. 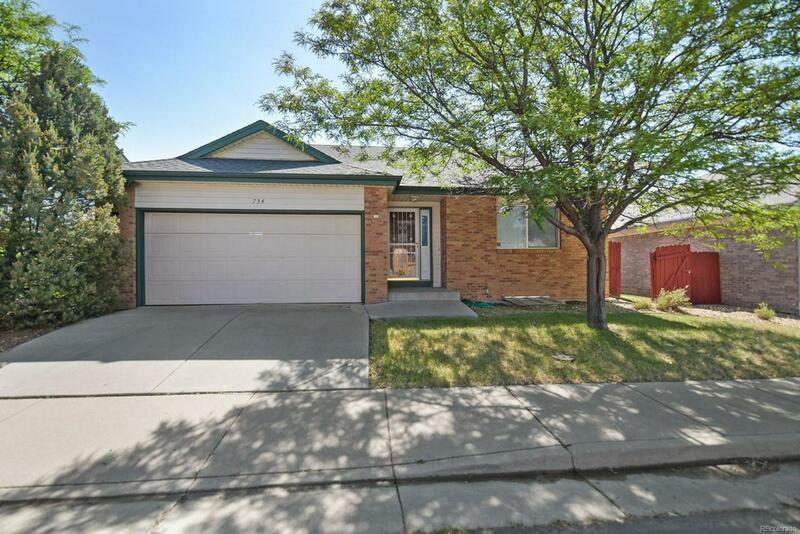 Nice quiet neighborhood and close to parks, light rail, shopping, easy access to 6th Ave, I-70 and I-225, DIA, Buckley Air Force, Hospitals and much more. Home offers: Combined family and dining area, with open kitchen and eating area. Sliding glass door, the leads from dining area to wood deck...great for entertaining. Smaller Fenced in yard, easy to maintain.